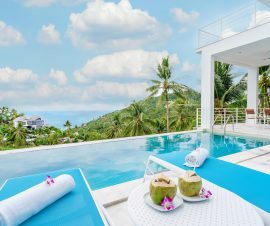 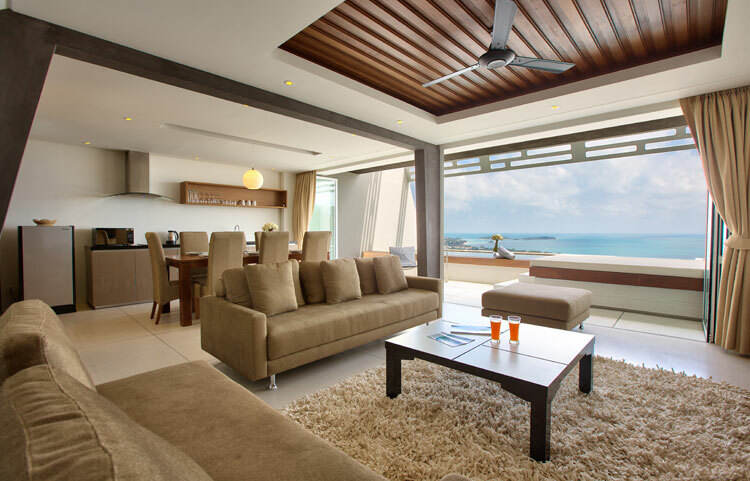 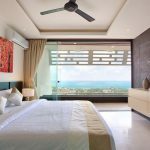 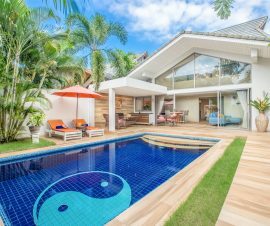 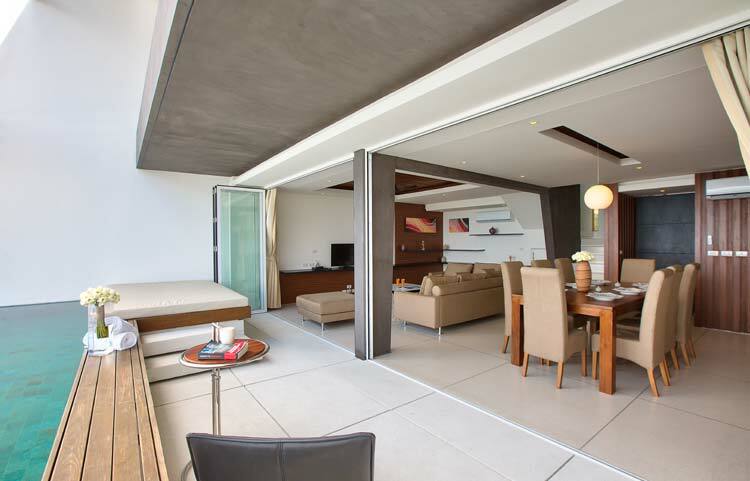 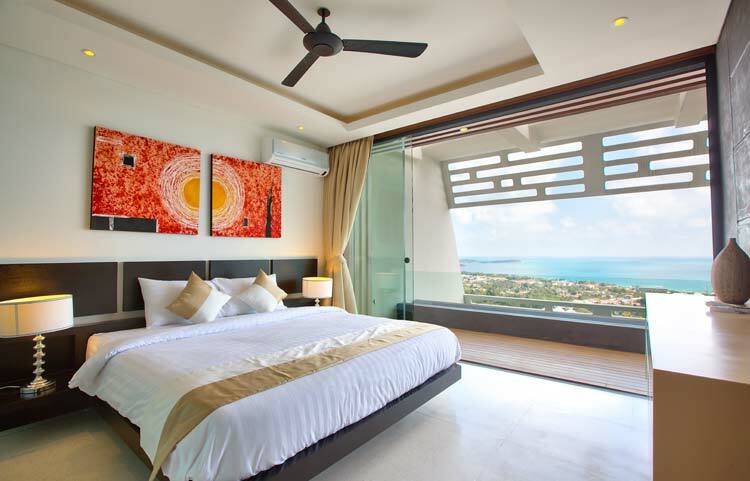 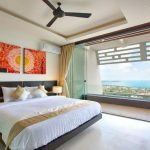 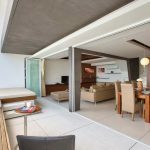 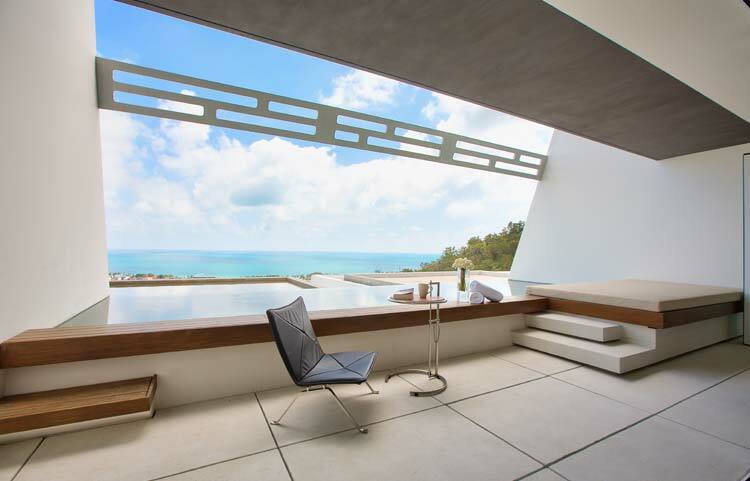 Villa 3 Coral is a 2 bedroom villa with a total space of 180 sqm and a private swimming pool along with panoramic sea views over Chaweng and the oceans of the Gulf Of Siam. 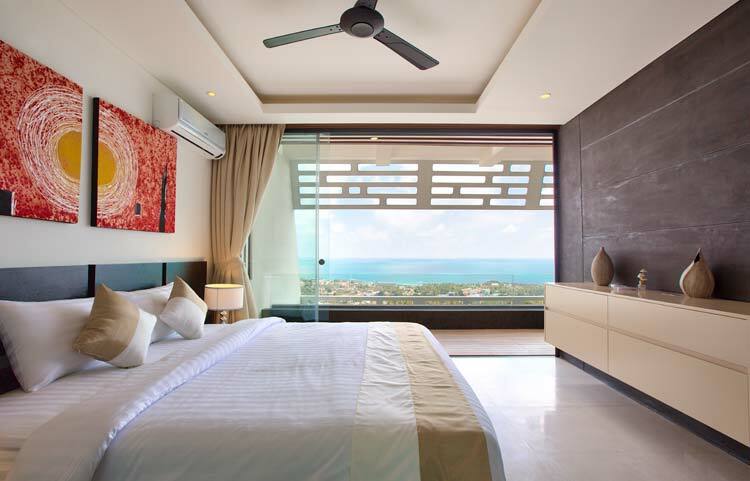 Each bedroom is en-suite with king size beds. 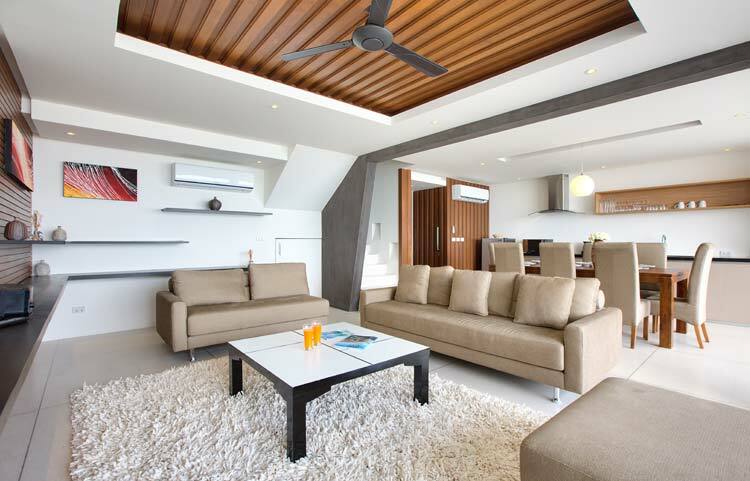 The villa in total can sleep up to 4 adults. 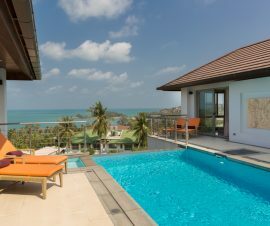 Facilities at this villa include a private pool, flat screen TV, room fans, air-con throughout, free internet and WIFI as well as kitchen with microwave, cooking hobs and extractor hood.